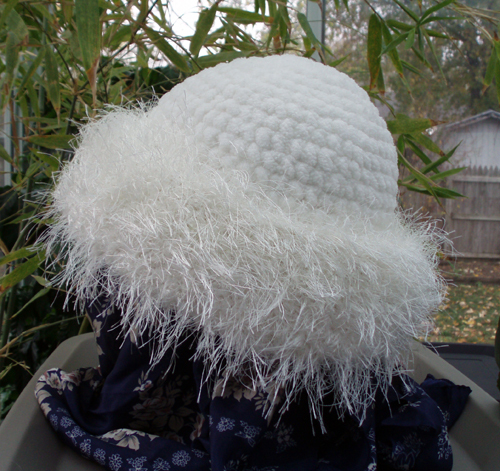 Peg requested the "Purple Hat" in white. 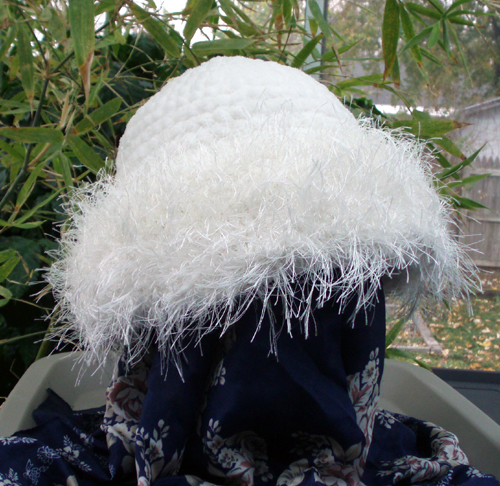 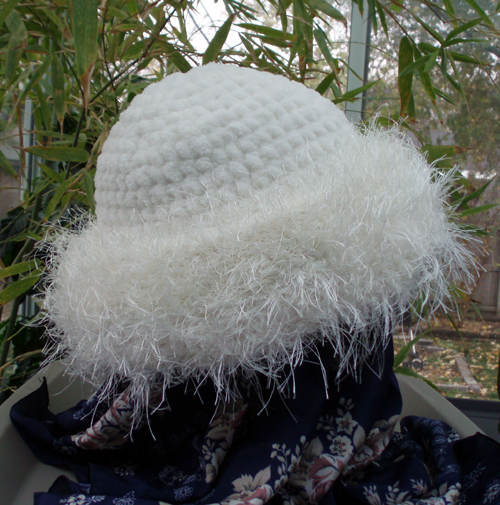 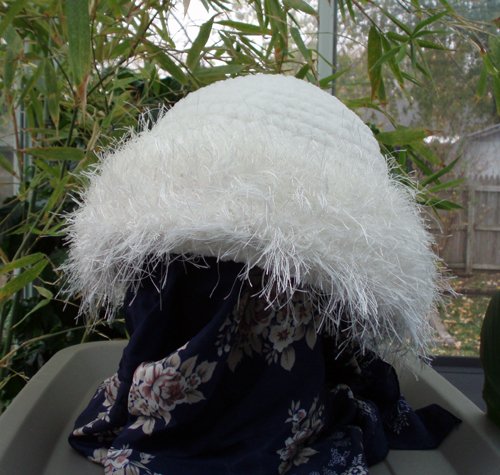 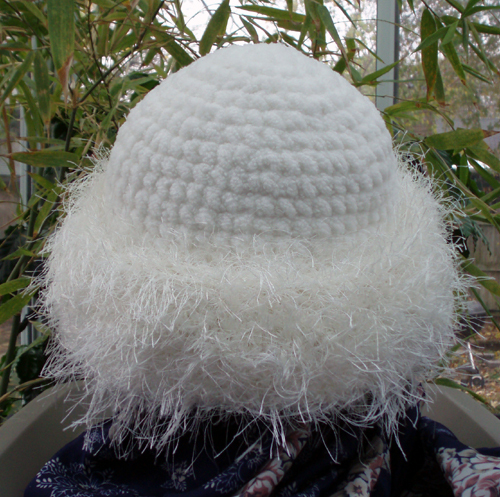 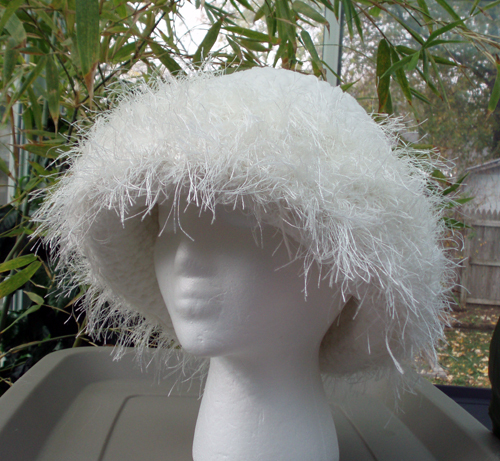 Crocheted with an incredibly soft and warm white chenille yarn 100% nylon and trimmed with white eyelash yarn 100% polyester. 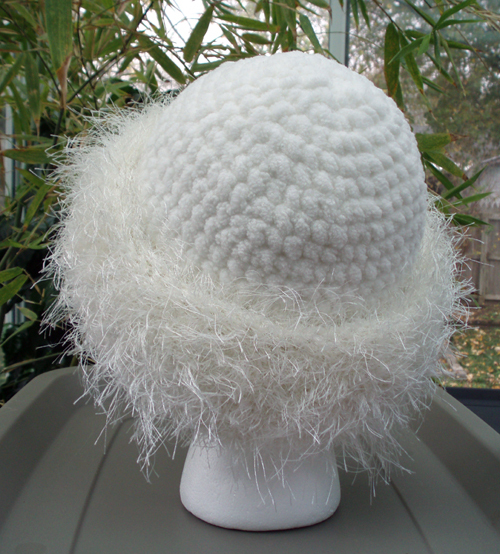 A wonderfully warm hat for winter!